If a 2019 Acura MDX were to follow a 2018 version around a corner it’s unlikely you’d notice the difference, that is unless the second model was updated to new A-Spec trim. 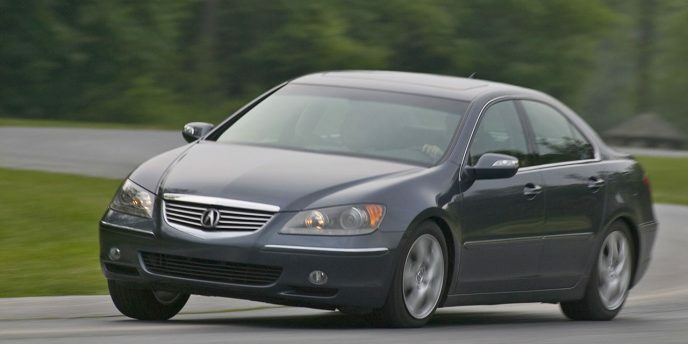 Acura has made some minor external changes to other trims, such as new wheel designs, but swapping out 95 percent of the chrome and bright metal with glossy black on the new A-Spec branded sport model, and then fitting a near equally darkened set of 20-inch 10-spoke Shark Grey alloy wheels on lower profile 265/45 rubber, makes this new addition stand out in a very positive way. The MDX has long been the sportiest Japanese luxury utility, but new A-Spec trim now puts styling on par with performance. Specifically, the new MDX A-Spec gets gloss-black and dark-chrome detailing for the grille, headlamps, window surrounds, and rear tailgate spoiler, a more aggressively formed front fascia design, painted front and rear lower skid garnishes, body-coloured exterior door handles, body-colour lower side sills, and larger-diameter exhaust finishers, and those aforementioned wheels. Climbing over exclusive A-Spec door step garnishes to get inside, Acura has positioned a special set of A-Spec gauges above metal sport pedals, while adding a thicker-rimmed A-Spec-badged steering wheel, unique carbon-look console trim, and sport seats upholstered in “rich red” or black leather with black suede-like Alcantara inserts plus high-contrast stitching. This being more of a sport styling exercise than any true performance upgrade, the larger wheel and tire package aside, it won’t be causing owners of the 567 horsepower X5M and 577 horsepower Mercedes-AMG GLS 63 (or 362-hp GLS 450/449-hp GLS 550) to contemplate their next SUV in Japanese. Acura does make a more potent MDX Sport Hybrid that can give some of the lesser Germans a run for their money thanks to 377 horsepower and 341 lb-ft of torque, but so far the sportier A-Spec trim will only be applied to the conventionally powered MDX, which continues forward into 2019 with a much more modest 290 horsepower and 267 lb-ft of torque. As with all MDX models in Canada, the new A-Spec comes standard with Acura’s torque vectoring Super Handling All-Wheel Drive (SH-AWD), and utilizes a nine-speed automatic with steering wheel paddles and multiple driving modes dubbed Integrated Dynamics System (IDS), which include the same Comfort, Normal and Sport settings found in all other MDX trims. I’ll comment on how all of this kit meets the A-Spec model’s sporting pretensions in my upcoming road test review, not to mention my views on styling and interior design, fit, finish, materials quality, comfort, utility, and how this trim specifically measures up to some key competitors, so for the time being I’ll just cover what you can expect with respect to features. 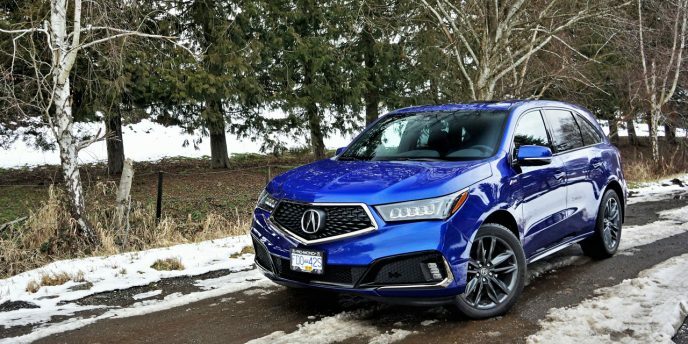 For the most part the $60,490 A-Spec is built upon the MDX’ second-rung $57,890 Tech trim, yet despite only costing $2,600 more and featuring the previously noted styling upgrades, it incorporates a few features shared with the $66,990 Elite version that aren’t available with the two trims below, including LED fog lamps, auto-dimming power-folding side mirrors, perimeter/approach puddle lights, keyless access buttons on the rear doors, and ventilated/cooled front seats. As for features pulled up from Tech trim, the list includes navigation with voice recognition, a sun position detection system for the climate control, a 10-speaker ELS Studio surround audio upgrade, hard disk drive (HDD) media storage, AcuraLink subscription services, front and rear parking sensors, and Blind Spot Information (BSI) with rear cross traffic monitoring. If you’re wondering about all the other advanced driver assist systems that would complement those above, take heart that all Canadian-spec MDX trims come standard with AcuraWatch, which includes Collision Mitigation Braking System (CMBS), Lane Departure Warning (LDW), Forward Collision Warning (FCW), Lane Keeping Assist (LKAS), plus Adaptive Cruise Control (ACC) with low-speed follow and Road Departure Mitigation (RDM). Additional standard features pulled up from the MDX’ $54,390 base model to A-Spec trim include unique Jewel Eye LED headlamps with auto high beams and washers, LED taillights, acoustic glass, a heated windshield, remote engine start, proximity-sensing keyless access, ambient front footwell, door handle and cabin lighting, pushbutton ignition, two-position memory for the driver’s seat, steering column, side mirrors and climate control, an electromechanical parking brake, a powered moonroof, a HomeLink universal garage door opener, an auto-dimming rearview mirror, heated power-adjustable side mirrors with driver recognition, reverse gear tilt-down and integrated turn indicators, a colour TFT meter display, a power tilt and telescopic steering column, a heated multi-function leather-wrapped steering wheel with paddle shifters, rain-sensing wipers, multi-angle rearview camera with active guidelines, Apple CarPlay, Android Auto, Bluetooth phone and streaming audio, Siri Eyes Free, SMS text message and email reading capability, satellite radio, four USB charging ports, tri-zone front and rear synchronized automatic climate control with humidity control and air-filtration, Active Noise Control (ANC), Active Sound Control (ASC), heated 12-way power-adjustable front seats with four-way powered lumbar support, seven-seat capacity, a powered tailgate, hill start assist, tire pressure monitoring with location and pressure indicators, all the usual active and passive safety features including a driver’s knee airbag, trailer stability assist, a 1,588-kilo towing capacity (or 2,268 kg with the towing package), and more. Incidentally, all trims, packages, and options are detailed out at CarCostCanada, where you can also find important rebate info as well as dealer invoice pricing that could save you thousands. All MDX trims get the same 3.5-litre SOHC V6 with direct-injection, i-VTEC, and Variable Cylinder Management (VCM) that shuts one bank of cylinders down during light loads to save on fuel, which together with a standard engine idle stop-start system and the previously noted nine-speed automatic helps the MDX achieve a claimed 12.2 L/100km in the city, 9.0 on the highway and 10.8 combined in its regular trims, or 12.2 city, 9.5 highway and 11.0 combined in A-Spec guise, the difference coming down to the grippier tires, while it should also be noted that the more powerful two-motor hybrid version mentioned earlier is good for an even more agreeable 9.1, 9.0 and 9.0 respectively. Once again, this thriftier yet more potent powertrain can’t be had with the A-Spec’s sportier styling and upgraded wheel and tire package, while that model’s active damper system is also unavailable below Elite trim that also makes them standard. As it is, the A-Spec makes do with the standard amplitude reactive dampers, which along with standard Agile Handling Assist and the SUV’s front strut and rear multi-link suspension design, has long provided strong performance through the corners. By the way, all pricing was sourced at CarCostCanada, which not only provides all trims, packages and standalone options, but also lets you know about available rebates that might help you save money when it comes time to make a deal, plus even better, you can access dealer invoice pricing that could save you thousands. Anyone who believes the Acura ILX is merely a badge-engineered Honda Civic might want to rethink their point of view. First off, since the 10th-generation Civic arrived for 2017 the two don’t even share underpinnings, with even this latest 2019 upgrade riding on the previous ninth-gen Civic platform architecture, not that this really matters to those behind the wheel, who no doubt will continue to enjoy rewarding driving dynamics and extremely good efficiency. 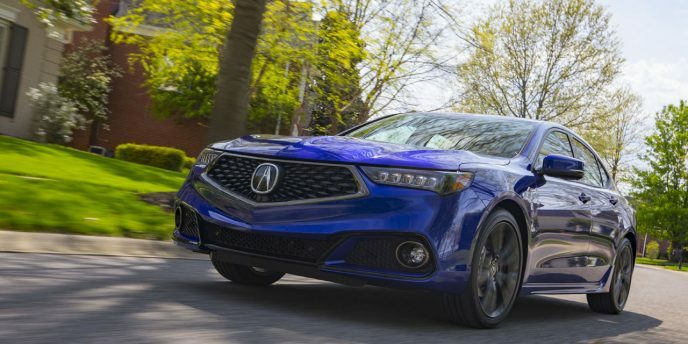 Despite getting a dramatic refresh that brings it inline with the rest of the Acura lineup, the 2019 ILX continues forward with a wonderfully rev-happy 201-horsepower, 16-valve, DOHC, i-VTEC-infused 2.4-litre four-cylinder engine borrowed from the previous Civic Si albeit refined for this car’s more luxury-oriented gateway-to-premium role. As part of its repurposed application the potent engine joins up to an automated dual-clutch eight-speed transmission with paddle-shifters, providing both smooth ease of use and quick-shifting performance, while its front-wheel drivetrain aids fuel economy. If it seems familiar, this formidable powertrain is also used in the base TLX. The most notable update is the Japanese luxury brand’s new trademark Diamond Pentagon grille up front and centre, complemented by a new front bumper and lower fascia. The latter is made more dramatic in new A-Spec trim, while the rest of the car gets minor updates from front to rear. Truly, only the seven-element Jewel Eye LED headlamps look unchanged, although Acura points out the 2019 ILX is entirely new from the A-pillars forward, with even the hood more sharply sculpted. The shape of the LED taillights appear totally new, while the rear bumper and apron are revised as well, once again more significantly in A-Spec guise. No doubt if you like the look of the new TLX you’ll also appreciate the changes made to the ILX, and no one should argue that the updated 2019 version is wholly more upscale looking than the car it replaces. Of course, no mid-cycle update would be complete without new wheel designs, which means lower end models get fresh sets of 17-inch split-five-spoke alloys with trim-specific finishes, and the new A-Spec sports exclusive 18-inch rims. Changes inside are less noticeable at first glance, with many of the same high-quality finishings remaining for 2019, albeit Acura talks of “more luxurious and sporty cabin appointments” too, which we’ll report on in an upcoming road test. Acura also highlights new silver-finish dash trim featuring a new chrome insert, plus a machine-finished ignition button. 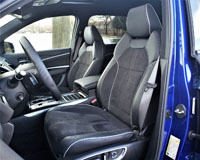 Even more consequential to real-world comfort, the reworked ILX receives “more intricately styled and reshaped sport seats, front and rear, with available high-contrast piping and stitching.” Driver’s seat power-adjustable lumbar support is standard across the line as well, making comfort priority one. Additionally, the dual-screen On Demand Multi-Use Display (ODMD 2.0) infotainment system gets a much-needed update with fresh graphics, new software, a faster responding operating system (by up to 30 percent), more intuitive menus and command structures, and standard Apple CarPlay and Android Auto smartphone integration. Acura says the 7.0-inch touchscreen portion of its dual-screen setup features a capacitive display that’s “more responsive to touch and is positioned within easy reach of the driver and front passenger,” so we look forward to testing this out in an upcoming review. The new 2019 ILX gets five new exterior colours as well, including Platinum White Pearl, Majestic Black Pearl, Performance Red Pearl, Canyon Bronze Metallic and A-Spec-exclusive Apex Blue Pearl, while Lunar Silver Metallic and Modern Steel Metallic carryover. Likewise, Ebony and Graystone colourways continue forward inside, although take note new Espresso provides some upscale colour to the ILX cabin, while the sportier A-Spec model gets exclusive Ebony on Red or Red on Ebony combinations, mixed with soft, grippy Ultrasuede seat inserts. Speaking of the A-Spec upgrade, along with the exterior enhancements mentioned earlier, which also include distinctive styling with more aggressive aero components, plus dark chrome grille and lower fascia trim, darker headlights and taillights, LED fog lamps, a gloss-black rear deck lid spoiler, and unique new 18-inch alloys in a Shark Gray finish, the A-Spec gets a special graphite-silver dash accent with chrome insert, an A-Spec badged steering wheel with contrast stitching, and aluminum sport pedals. The aforementioned sport seats feature high contrast stitching as well. Additionally, the 2019 ILX joins every other model in the brand’s lineup in providing the AcuraWatch suite of active safety and driver-assistive technologies as standard equipment, including Collision Mitigation Braking System (CMBS) with Forward Collision Warning (FCW), Lane Keeping Assist (LKAS), Adaptive Cruise Control (ACC), and Road Departure Mitigation (RDM) with Lane Departure Warning (LDW). Acura is the only premium brand to provide such standard advanced safety features to all of its models, and this focus has pushed it up the U.S. Insurance Institute of Highway Safety’s (IIHS) rankings, resulting in three of its recently updated models receiving Top Safety Pick and Top Safety Pick + scores. The 2019 ILX should benefit from the AcuraWatch upgrade too, as the 2018 model already earns 5 safety stars from the U.S. National Highway Traffic Safety Administration (NHTSA), plus zero complaints, zero investigations and zero recalls. The current ILX’ high NHTSA score results from Acura’s Advance Compatibility Engineering (ACE) body structure as well as other standard safety and driver assistive features, such as Vehicle Stability Assist (VSA) with traction control, an Expanded View Driver’s Mirror, advanced front airbags, driver and front passenger side airbags, side curtain airbags, a Tire Pressure Monitoring System (TPMS), not to mention pedestrian injury-mitigation exterior design elements, while the new 2019 ILX will also be available with blind spot information (BSI) and rear cross traffic monitoring. Also notable, the outgoing 2018 ILX earned a top Initial Quality Study (IQS) ranking for its segment this year. In more detail, it received a Power Circle Rating of 5 out of 5 and a quality award in the Small Premium Car segment. 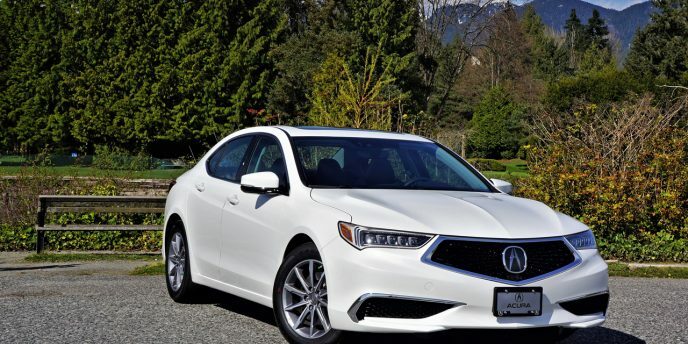 The ILX also earned the top position in the entry-luxury car category of Kelley Blue Book’s 5-Year Cost to Own Luxury Brand Awards, while Acura was the top ranked brand for the third consecutive year. Will the redesigned 2019 ILX continue to attract more millennial buyers than any of its compact luxury competitors? It’s been the class leader amongst young millennials every year since 2013, so only time will tell if the refreshed model continues this trend. Still, the new ILX’ more distinctive styling, continued strong performance, and high quality, comfortable interior should help it maintain a steady influx of new and repeat customers. 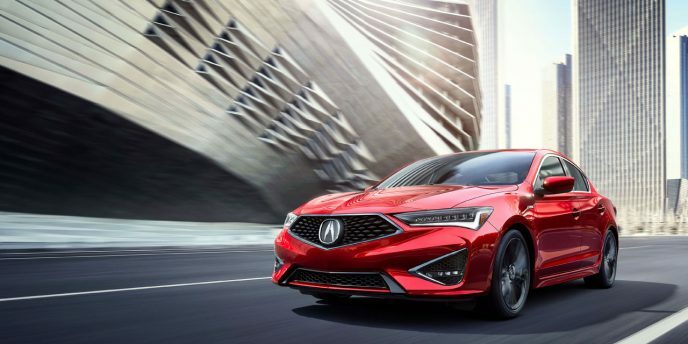 The new 2019 Acura ILX will go on sale later this month.